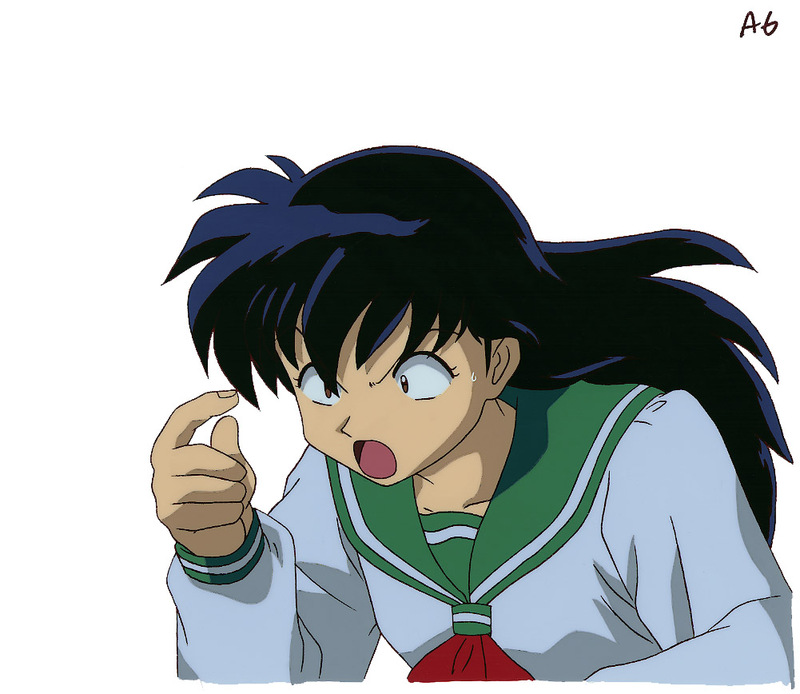 There's only one person who could make Kagome this mad. Hint: he's got pointy ears and always wears a red outfit. I think this is from the classic sequence where Inuyasha becomes hysterically jealous of Kouga, the wolf-demon, who's fallen in love with Kagome. 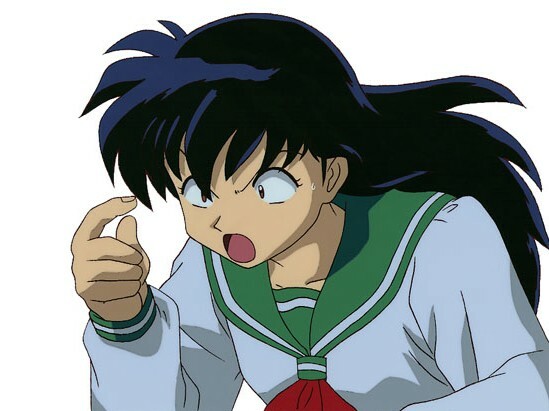 Kagome can't believe he doesn't trust her, and she's more than a little upset over everyone's assumptions about her feelings, which she hasn't quite sorted out herself.